This design uses symmetry on the front and rear elevations for a simple but beautiful look. With the back of the property completely open plan and providing a useful connection to the garden, it creates a generously sized family / entertaining area. 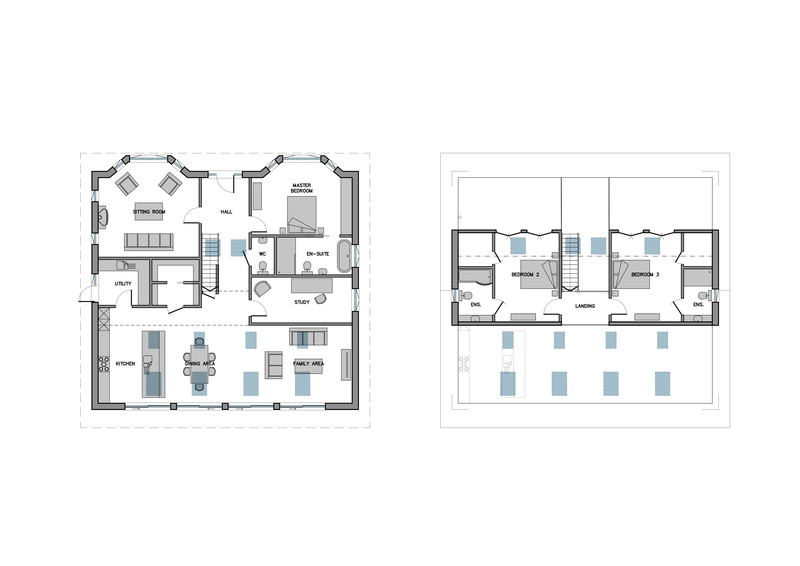 At the front there’s a separate sitting room on one side, and the Master bedroom with en-suite on the other. In the eaves upstairs there are two further double bedrooms, both with access to their own en-suites. 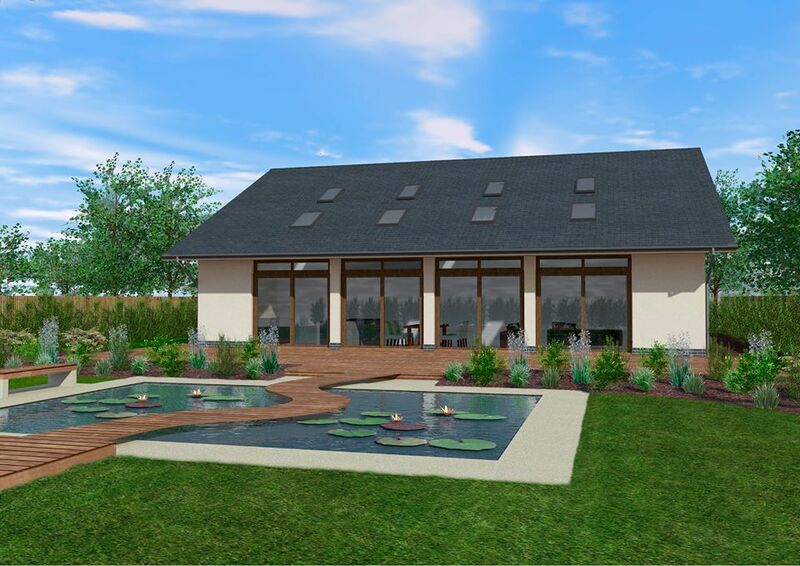 If you would like further information on The Hickory design and how we can tailor this build to suit your own plot, please contact our sales office on 01342 838060 or email sales@scandia-hus.co.uk and one of our team will be in contact with you shortly. Alternatively make an appointment to come and see for yourselves our design and build quality by visiting our Show Centre at our offices in Felcourt, West Sussex.